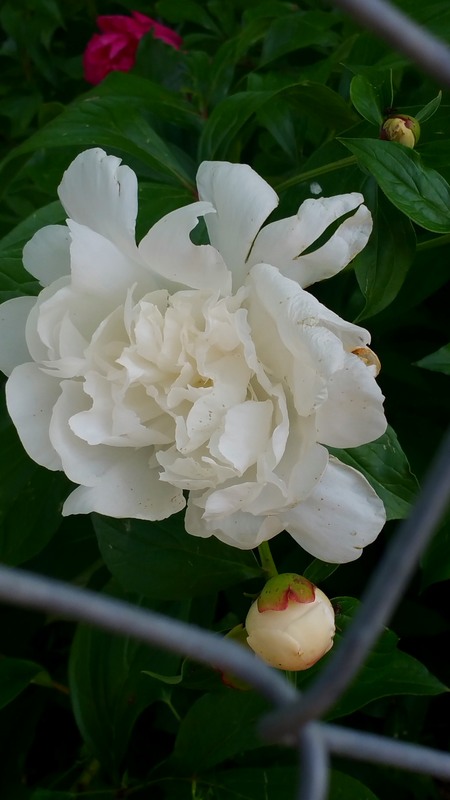 This entry was posted in Recent Posts and tagged Caged, City, Deserted, Flower, Haiku, Inspiration, Life, Nature, Peony, Photography, Poem, Poetry, Thriving Where You Are, Urban Dwelling. Bookmark the permalink. What she dreams about daily. Quite a stunning photo, Ben. I’d sit here. Speaks to me. Thank you kindly for the follow, may you find a blessing! Nicely done. You have inspired me to write my own haiku. Aw, I love that. I look forward to reading many a haiku from you. I enjoy writing them. Nice to meet you, Anthony. Adam, thank you. Nice to hear from you. It’s been a long time. Enjoyed the glimpse of the wire fence. Beauty contained. I caught her while doing some urban gardening for the Big Garden in Omaha. I wish I’d had more time to photograph her. I was drawn to the fence. Thank you, Dan. I caught her while in town, had I known she would be such a hit I would have worked a little harder to show her completely. Thank you, C. Hope your recovery is going well and you’ve found the proper chair to keep you put for awhile so that you may heal completely. Slowly getting better. Cutting back dramatically and instituting long breaks daily helped the mental part quite a bit. The bones are healing and my mobility is improving. Really would have been nice to know about the concussion when I left the hospital but I’m alive so I don’t think I’ll complain! Peony is my all time favorite flower. I’ve been scouring the markets to see when I can buy a bouquet as we can’t grow them in California – but we can love them. Thank you for the urban princess. I’m glad you indicated this is a peony — I thought so. “Tis splendid, Poetess!! Yes, I have them on the backend of my property and they are in full bloom. I saw them flowering on my trip to the city, as well. I’m so happy you enjoyed this, Debbie. Is that a white peony?